Marica and I have a fascination with ‘discovering’ new South African talent. They may not be new on the design scene, but new to us. After all, the philosophy of our blog is to uphold and honour our local talented creatives. The reason for that philosophy by the way, came out of the time that I spent working on the Irish hotel interior design projects. We had to export most of the interior furnishings and finishes from SA. As a decorator, when I spend a great deal of time sourcing products and fabrics, I come to appreciate just how well our South African creatives compare with those abroad. We bring a unique flavour to the world of design. This is what Marica and I desire to showcase. The burning desire is to continue ‘exporting’ the talents and wares of South African designers to the world at large – the blog being one of the mediums we use. I cannot recall just exactly how it was that I recently ‘discovered’ the work of Lelia Fanner – somewhere and somehow on the internet. 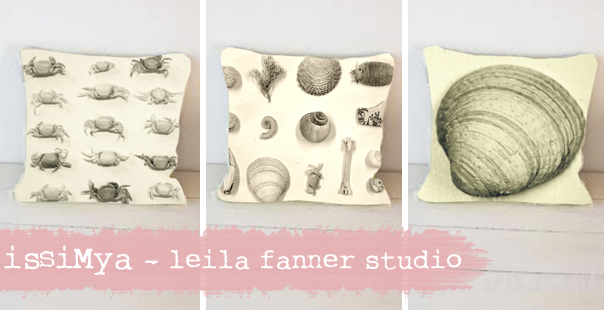 But I was so thrilled with my discovery, that I hurriedly contacted her to chat to her and today we are proud to introduce you to the ‘Talented Lelia Fanner.’ Her surface designs are striking, inspired by local fauna and flora, trendy, colourful and so much more. But I will leave Lelia to tell you more about herself in the interview below… ENJOY! As always… yours in service of design… Rose. Q: Tell us a bit about yourself – where are you from, what makes you tick, how did you get started? I illustrate, design, paint, print, photograph, create surface patterns, and write as much as is humanly possible. I dance a lot in my lounge, eat mostly raw food and masses of chocolate and believe love is stronger than hate. I’ve was born an artist and crafter – driving my mother batty as a youngster cutting up my clothes to re-make them in my own way. I sold my first artworks at the age of 10 from my mum’s art studio/gallery. Nowadays, I create designs for business, make my own gorgeous products, paint photograph nature and write about finding your own creative currency. Q: Do you have formal training or are you self-taught? I could say self -taught – but that isn’t ever strictly true. My mother, my unknown father, my grandparents and many more wonderful human beings who have influenced my life and were all creative entrepreneurs, have directly and indirectly taught me what I know now. Q: Tell me more about issiMya (interesting name by the way) and your range of services/products? Thank you. I’m not sure what it means – it popped into my head while rumbling along a farm road. It’s the name of my Cape Fynbos inspired range of textile designs. 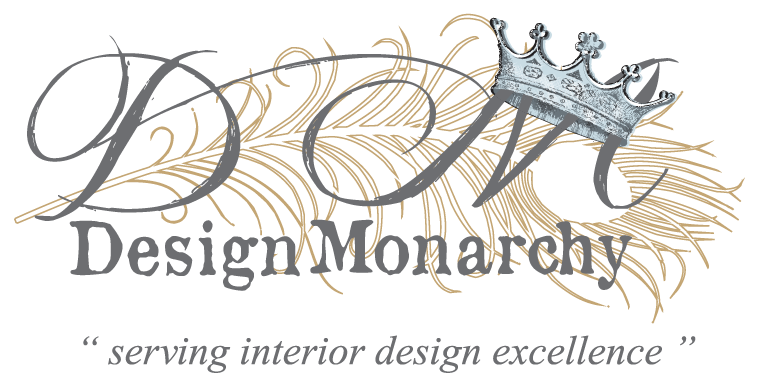 As an illustrator and graphic artist – I also design logos and illustrative themes for businesses. Last year I signed up with UK agents Advocate Art, to make a selection of my designs and art available for licensing worldwide. 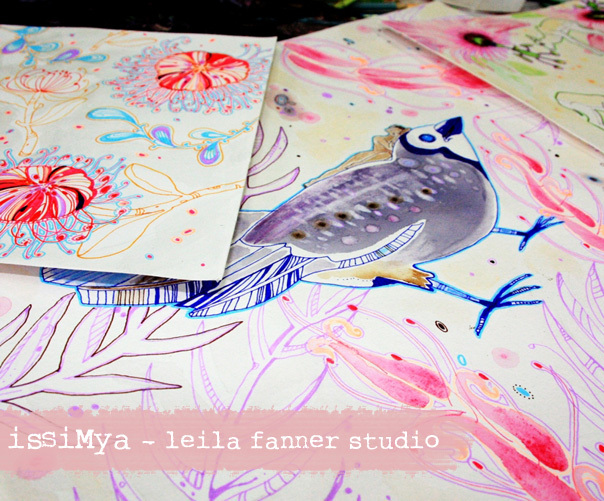 Q: I notice you use quite a wide variety of mediums in your art pieces – what’s your favourite? Drawing. Everything starts with a pencil line. Q: What inspires you and where do you draw your inspiration from? Nature and my belief in worlds we cannot see with our physical eyes. Ridiculous amounts of detail right up against simplicity and extremes in colour, line and form. 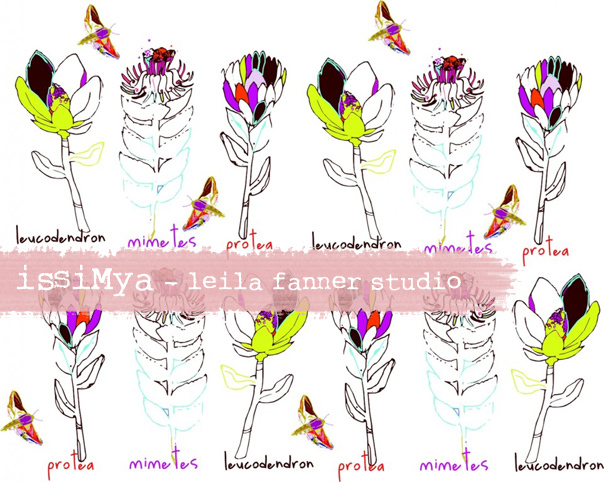 Well, there is the protea and fynbos inspired issiMya range – I spent a year on our farm on the west coast creating the initial ink and aquarelle illustrations that I then digitized and turned into patterns. I am totally in love with this range. Then there’s the newer Natural History photographic collection; west coast and Karoo veld treasures with a sprinkling of man-made finds, naturally weathered into fascinating sculptural objects. They started out as box framed collections available at Cecile & Boyd’s Trade Showroom and The Haas Collective in the Bo-Kaap. The photos I took of each treasure collection inspired a range of fabric designs as well. I am presently looking for the right fabric house or savvy business person to collaborate with in producing the range. If I don’t find that person/business I am going to launch it myself. Q: When is it launching? I’ve already started with some samples: Gorgeous cushions, gift wrap, gift cards, wallpaper, vinyl wall art and fabric by the meter. Q: You’ve got some product on Etsy – a relatively unfamiliar avenue for most South Africans. How’s Etsy working for you? I started my Etsy shop as an experiment in getting myself used to the whole online selling world. 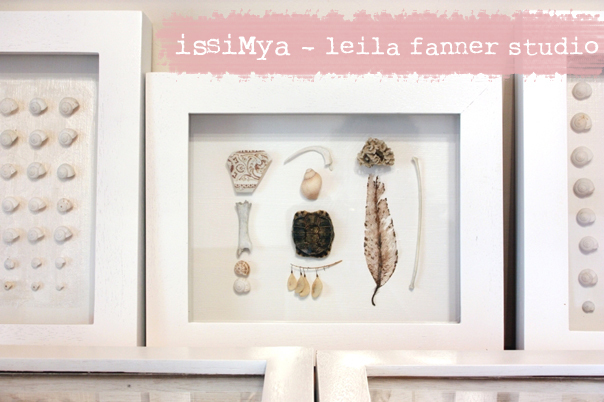 I made some sales, then started my website and got thoroughly side-tracked into making that into a gallery /shop / blog. I think in order to make Etsy shops work as a business one has to be dedicated to spending enormous amounts of time online and marketing it everywhere. I’ve only just started with that, so we’ll see. Buy a farm with mountains and a river running through it, skydive, be in a flashmob dance, find lasting inner peace, and travel into outer space. …and an up-coming photographic exhibition called ‘A Fragile Nature’ – photo’s taken on a road trip to the Karoo. 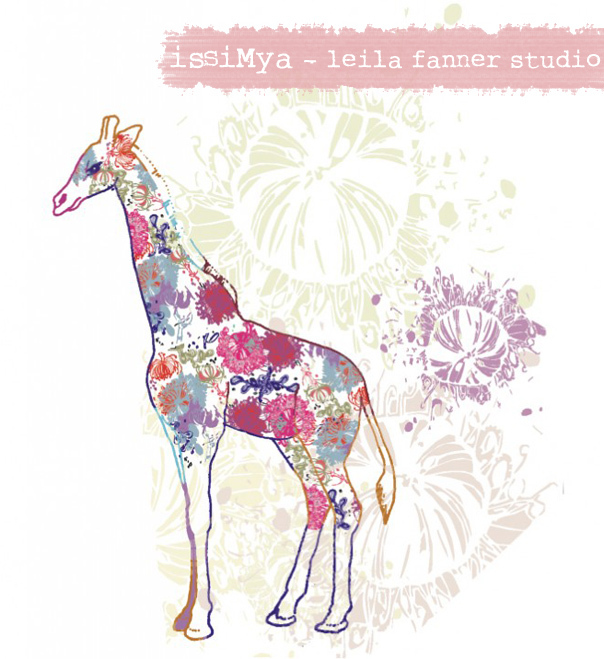 Check out Leila’s website: here, or drop by her Etsy shop if you want to purchase any of her beautiful stationary and prints! Be sure to catch our next post as Leila designed something special just for our The Design Tabloid readers! 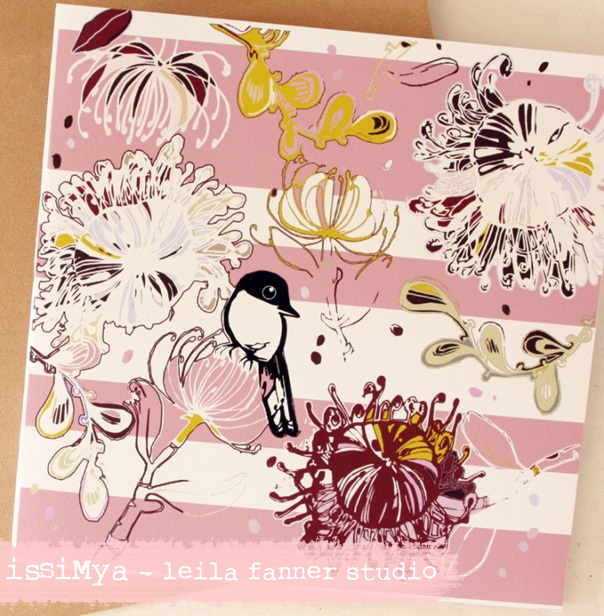 Leila’s work is beautiful. It really speaks to a special place in me. I love those pin cushions protea drawings. They are so detailed and bright. 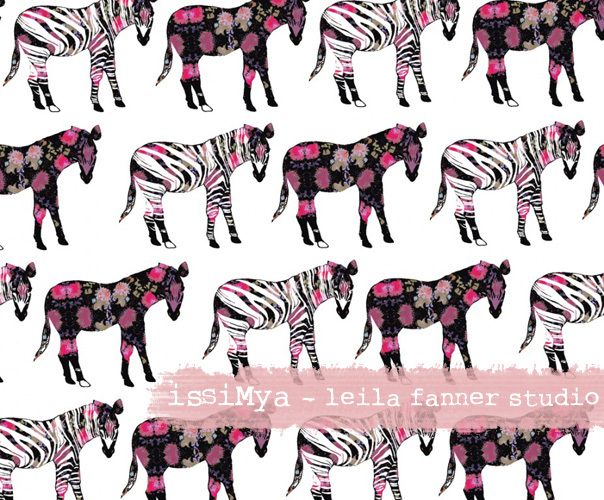 Leila’s work is so inspiring. I can’t wait to head over the her site and shop. 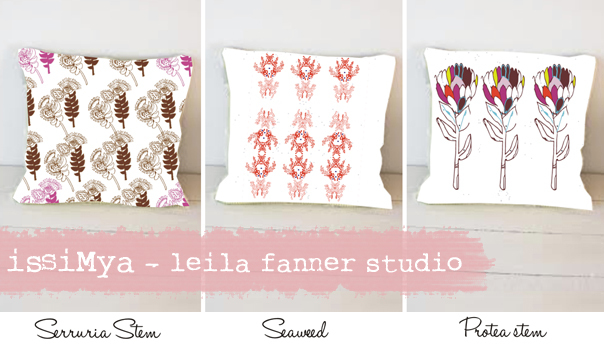 Hey Lelanie – I have a soft spot for those Protea design – they are vibrant and edgy. when I look at her intrepretation of the Zebra and the Giraffe, I have to smile, as I try and picture these floral animals running around in the bush. What do you think of those animal patterns? I do as well. They have something very real about them. Don’t you think?